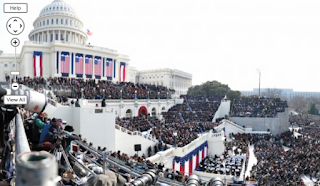 On January 20, 2009, photographer David Bergman covered his first inauguration and took a photo (actually 220 photos) using his Canon PowerShot G10 camera and then "stitched" them all together to create a 2 GB 1,475 megapixal photo (59,783 x 24,658 pixels). That's HUGE. Big is good, but what is exciting about these shots is that the viewer can look at the whole photo from a distance or zoom into specific people in the photo. (Click here to see the dynamic photo.) It is similar to the kind of technology that you see in Google Maps or Google Earth but the typical photography enthusiast can do this. The trick wasn't in his camera but in GigaPan technology. This Carnegie Mellon University GigaPan technology includes a robotic arm and the Gigapan Stitcher software ($450). Bergman attached the robotic arm to a railing. The Gigapan will take the photos for you. You just have to designate the upper left corner and the lower right corner. Press the GigiPan button and it will automatically take the photos (video tutorial here). When Bergman's photosession was complete, it took over 6 and a half hours for the Gigapan to stitch together the 220 images on his MacBook Pro. GigaPan has set up an agreement with Google. Google Earth will begin including Gigapan panorama photos. This began in 2007 and I haven't checked it out yet, but should be rather exciting for seeing closeups of places in the world. 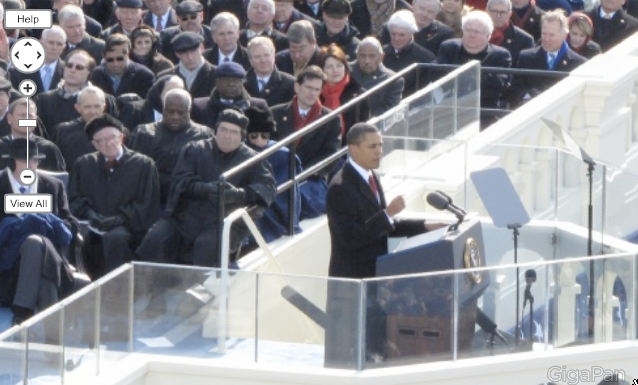 Taking closeups like this can be a little scary as a continuing intrusion into our privacy, but it should also be considered a new opportunity for "the rest of us" to venture into new photographic territories at a reasonable price. What do you think? How can we use the Gigapan Technologies in our educational settings? "Wow Man!! I was SOO wasted!!" "This job is really boring." "I think that I am getting tired of my girlfriend." These are all phrases that can get people into BIG trouble when they share them on FaceBook. FaceBook is a great way to communicate with your friends and share what's happening in your life, poorly selected photos and descriptions of your adventures can cause SERIOUS problems in getting jobs, being admitted to college, or even being sentenced in the courtroom. 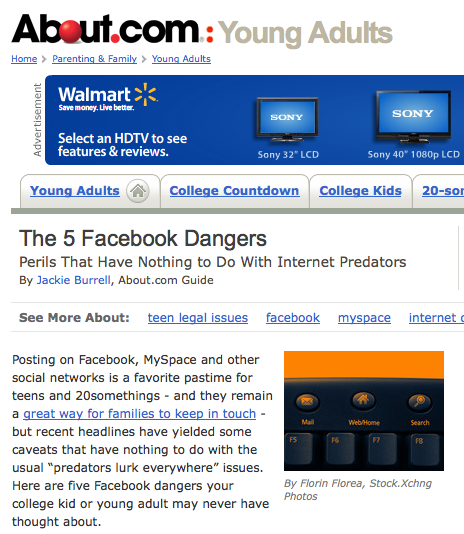 Jackie Burrell's article, The 5 Facebook Dangers, in her Young Adults About.com column, provides an important list of ways that poor choices in postings can affect their futures in school, jobs, and court prosecutions. Students don't realize how much their presence on the Web will affect their futures. Every semester, I discuss this issue with my university students and the fact anything they post on the web will "be there forever." They see their social networking sites as great places to share things with their friends, but they don't consider the fact employer and admission offices search the web to find out information that isn't conveyed on their job/school applications. Be careful what you post because it just might come back to haunt you in the future. BTW, related to Facebook but unrelated to what I have been discussing, I just found some research by Aryn Karpinski reported in April, 2009, compared the grades of students who use FaceBook to those who don't. They surveyed 219 students from Ohio State University and found that Facebook users in the study had GPAs between 3.0 and 3.5. 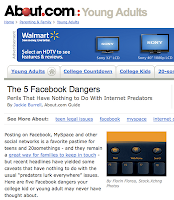 Students in the study who didn't use FaceBook had GPAs between 3.5 and 4.0. They also found that FaceBook users spent an average of 1 - 5 hours a week studying and non-users studied between 11 - 15 hours. It should be noted that this research DOES NOT find a causal relationship between low school performance and using FaceBook. It merely found that those who used FaceBook tended to have lower grades and study less. Chances are that if they didn't use FaceBook, they would have found other distractions instead of studying. Another question is how can university students have a 3.0 GPA average with only 1 - 5 hours of studying per week? I have plenty of ideas about that, but that deserves another posting. What YouTube Videos do you identify as your MUST SEE videos? I was just reviewing Steve Dembo's posting about Mandatory YouTube Videos and it got me thinking about which ones I think people should watch. Wesch's A Vision of Students Today and Web 2.0 . . . The Machine is Us/ing Us. The latest edition of Did You Know 3.0 by Karl Fisch and Scott McLeod. The Introducing Le Book depicting a support person for using books. 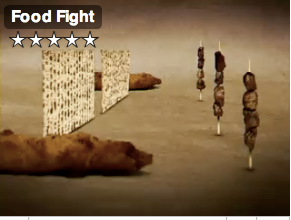 Food Fight which is an incredible example of stop action video creation. It is literally a war between foods. I would suggest previewing this before sharing with students due to the graphic depiction of food annihilation. Bob Sprankle's I Had a Dream where he asks "If we didn't have today's schools, would we build today's schools?" Don McMillan's Life After Death by PowerPoint where he shows you how NOT to use PowerPoint. There are many more videos that should be listed here. What would YOU include in your list? Give us the link as well as the title. How Would YOU Save Money in Our College of Education? The State of Iowa has been hit HARD by the recession. Admittedly, it is nothing like what California or Michigan have seen, but it hurts none-the-less. 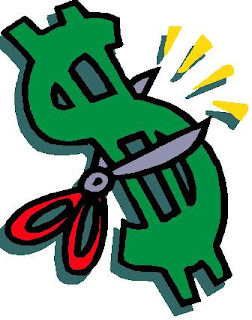 In mid-October, Iowa's Governor Culver announced that ALL governmental entities would have to cut their budgets by 10%. This include the courts, governmental offices, AND schools. Yes, our University of Northern Iowa (UNI) has felt the cut of the sword. The greatest expense in education is faculty and staff. Personnel compose at least 85% of the budget. Faculty will suffer an average of 6 furlough days (unpaid days off) which will mean a salary cut of probably $2,000 - $4,000. UNI has announced that they will reduce their contribution to our retirement accounts and our health premiums will probably increase. The scene is not pretty. President Allen has even opened a Budget website where he is trying keep the public posted about how the budget is evolving. To top it all off, our College of Education was just told that we need to return another $142,000 on a permanent basis by the end of December 2009. Time magazine ran an article, Colleges Find Creative Ways to Cut Back. It talks about mowing lawns less frequently and dumping free laundry services, but when it comes to academics it is always a matter of cutting people and programs. Share your ideas. Help us out. A couple of days ago I had coffee with my friend, Gordon Dahlby, and he told me a story that “added a new dimension” to my life. Gordon told me about one afternoon when he was walking with a friend around the Mall in Washington D.C. They came to a “buggy way”. This looked like an alley, but in reality it was one of the passageways that was designed in the early 1800s to accommodate horse and buggy vehicles as they traveled around the nation’s capitol. 4 dimensions – what did he mean about experiencing in 4 dimensions? The 4th dimension is Time. It involves being able to integrate the past or the future into your perception of an object or person or experience. Dr. Dahlby's observation that when this woman's mother experiences something she includes the Time dimension as well implies that she is including all of the things that she knows about the "experience" from personal experiences, historical accounts and related experiences. Typically, when people discuss dimensions, they require that we must be able to move between them. My daily life is lived in 3 dimensions because; I can move side to side (width dimension); I can move forward and back (depth dimension); and I can move up and down (height dimension.) This is my life. The question remains, however, "How am I limited to experience these 3 dimensions in my life?" The potential to move through these dimensions is there, but can I really do it?" Probably not. I probably can't experience all of my world through 3 dimensions. I can enter a room and experience most of it by moving forward, back (depth) and side-to-side (width.) I am over 6 feet tall, so I can probably almost reach the ceiling (or stand on a chair if necessary) to experience the height dimension. But what about when I leave the comfortable confines of my house? I can perceive the three dimensions, but can I experience them? In my home, I can experience all three dimensions because I can see and feel them in three directions. But these 3-dimensional experiences are extremely limited. What about when I go to the shore and stand with my feet in the waves. I can move forward, back, side-to-side and up/down (6 feet) but the rest of my reality is limited to what I can see and hear. I can see the sky, but I can't touch it. I have to imagine it in my mind. I can see the ocean disappearing off into the distance, but I can't feel it in the distance. I have to experience it in my mind. I am limited by the physical boundaries that are imposed upon me by gravity, distance and the fact that my soul is contained in a physical body that has limits. I can move around in the 3-dimensional world but some of my movement is in my mind because I can't physically do it. I must admit that the only time that I felt that I was truly in a 3-dimensional world was when I was SCUBA diving off Cozumel. I was 30 feet down amongst a school of Clown fish, and as I looked up to watch my bubbles drift to the surface, I realized that I wasn't limited to the 6-foot band of height that I have on land. I could move up, down, forward, back, left and right at will. I was truly living in a 3-dimensional world because I could navigate my way throughout this world. Time is another dimension through which I have traveled. Admittedly, my physical movement is uni-directional. I live life by moving forward in time. It is possible to to move back in time, but at this time it is only by remembering it in my mind. I may remember an exact incident because I lived through it and I retain the details. I might have to imagine it because I only read an account or saw a video or heard a discussion about the event. Either way, it can be as exact as touching the sand (remembering) or as vague as imagining the sky (recalling someone else's account of an incident). It is another dimension of experience through which we live. This also applies to the future tense as well. Jennifer James talks about Thinking in the Future Tense. When we are experiencing/viewing and event/object, we must integrate a future perspective as well because it allows us to consider how this event/object will/can be in the future. This attitude needs to be the basis in our teaching and educational leadership. Last month, at an ITEC conference, Daniel Pink said "We must teach for our students' future, not our pasts." 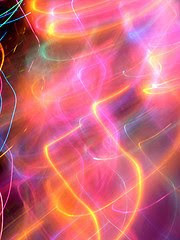 Living Life through the 4th dimension provides the context that gives our lives meaning. Teaching and leading with the past and present tense provides relevance to our activities and meaningful direction to our leadership. BTW to all of you physicists. Yes, I know that 4 dimensions are no big thing when you are a String Theorist. The String Theory community boasts 10 dimensions. I have to admit that I don't know much about this, but it sounds like something I will have to research and share with you in a future posting. What do you know about 10 dimensions? Share your knowledge with us. Related articles by Zemanta and other sources. Twitter is sometimes considered a tool that is "a solution looking for a problem to solve." it is cool and immediate and useful for people to keep in touch. Here are some resources that educators will hopefully find useful when considering using Twitter in their classrooms. An 18-page ebook for teachers. Begins with a basic intro about Twitter and then provides insight about using Twitter in the classroom. These ideas are from teachers and written for teachers. A collaboratively-written, wiki-based ebook to "Teach Teachers about Twitter." Another wiki created to help teachers find teachers through Twitter. 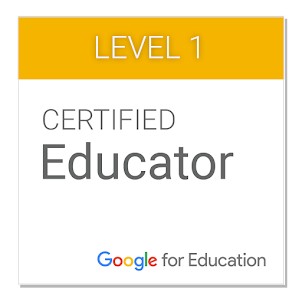 This can be quite valuable if you want to find a group of twitterers in your field of instruction. An EduCause article about how you can use twitter to provide real-time information about your learning environment. David Hopkins' Overview of how and why to use Twitter in education. In this 9-minute video a high school AP Biology teacher tells how he uses Twitter in his classroom. Begins with an explanation of Twitter and then discusses the applications. Had to share this one with you. This group, theFunTheory.com, believes that we can get more people to exercise if we make it fun to do it. In this video, filmed at the Odenplan metro station in Stockholm, Sweden, the group has placed musical "plates" on the stairs so that when people walk up and down the stairs, it will play like a piano. 2 out of 3 people decided to take the stairs with this added incentive. Some just ran up the stairs in sequence but some used the stairs to play music. I would have done the later. What would you have done? Turning a recycling Bottle Bank into an arcade game. Adding sound effects to a trash can so it sounds like things are falling along way. There are only 3 examples on their website so far, but I am sure that more will be coming soon. What forms of motivation have you used/seen to encourage exercise?